Every Friday afternoon after a long week, eight young people from very disparate backgrounds meet in a dance studio in East Harlem bound together by their shared passion for dance and the knowledge that they are part of a 20 year tradition. Twenty year old Dominican born Rosa, has always danced, but these days she can only make class and rehearsals if she’s not needed to work in the family’s print shop, torn between her love for dance and sense of familial responsibility. Nineteen year old Prashant, originally from Guyana, has the passion and family support, but his love of dance was only ignited while in high school, considered by many as a “late start” in the competitive world of dance. A 20-year old student of Bangledeshi background never misses a rehearsal, despite her very traditional father’s opposition to a life in dance, and her own late start in an art form that demands years of training. 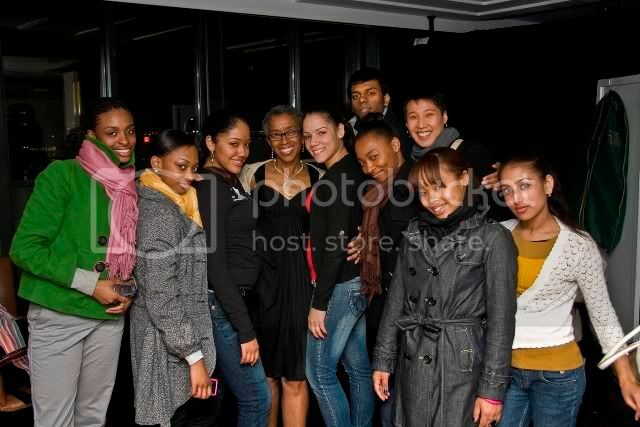 These are the young members of the GESTURES Dance Ensemble of Harbor Conservatory for the Performing Arts, a school where they are cajoled, nurtured and challenged to push themselves, by Harbor Conservatory Artistic Director and dance educator, Nina Klyvert-Lawson (photographed above with students). The Harbor Conservatory for the Performing Arts is proud to announce that 2009 marks the 20th anniversary of the GESTURES Dance Ensemble. To mark this momentous achievement, GESTURES will be presenting three evenings of performance at the Ailey Citigroup Theater, June 15th, 19th and 20th. The Ailey Citigroup Theater is located at 405 West 55th Street and 9th Avenue at The Joan Weill Center for Dance. The Harbor Conservatory for the Performing Arts, now in its 39th year, was established by Boys & Girls Harbor and offers pre-professional training in the disciplines of dance, instrumental music, voice and theater arts to students ages 4-21. The Conservatory is unique in its focus on pre-teen and teenage talent development through special ensembles, public performances, and career counseling and placement. For additional information please call Nina Olson at 212/427-2244 ext. 577 or visit them on-line at http://www.harborconservatory.org/.